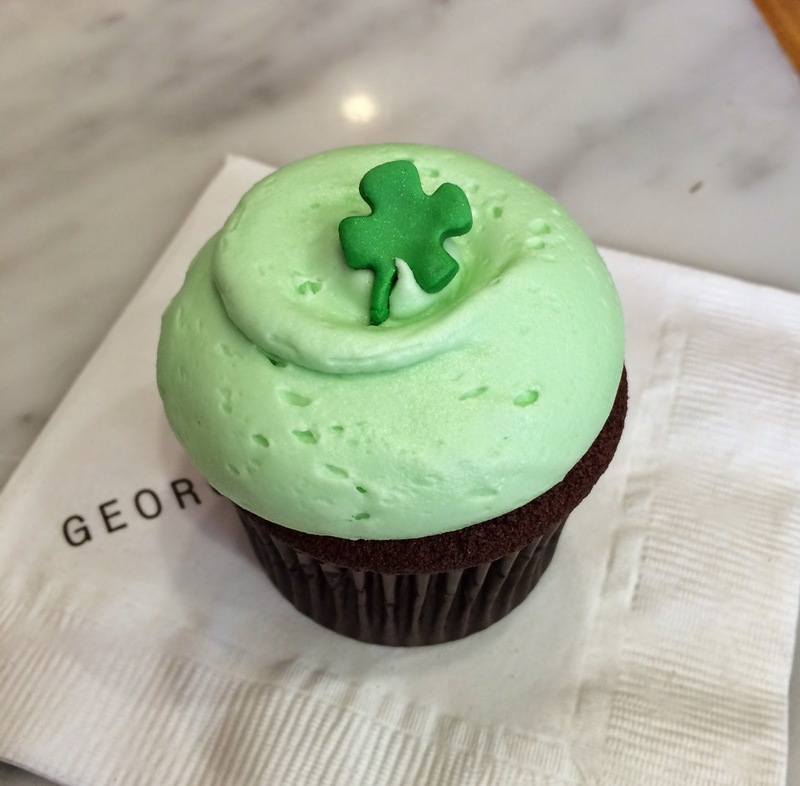 I saw St. Patricks Day cupcakes were still sold at Georgetown Cupcake when I got a Cherry Blossom. There were vanilla (or plain) and chocolate cakes, but the decoration was the same. 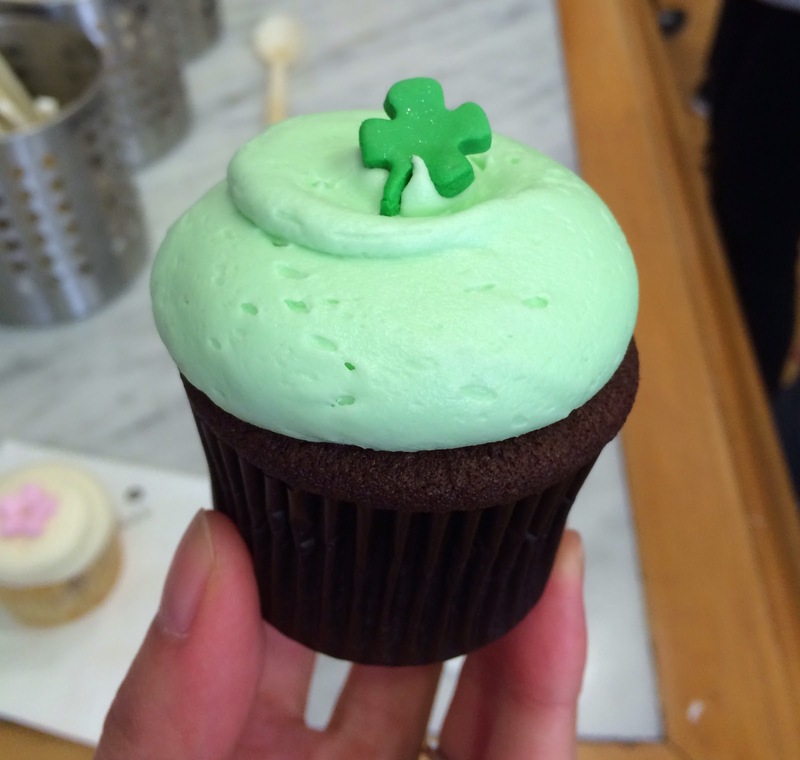 We got a chocolate one, and the frosting was pale green and in the center, there's a 4-leaf clover. The chocolate cake was richly dark and had no irregular color. 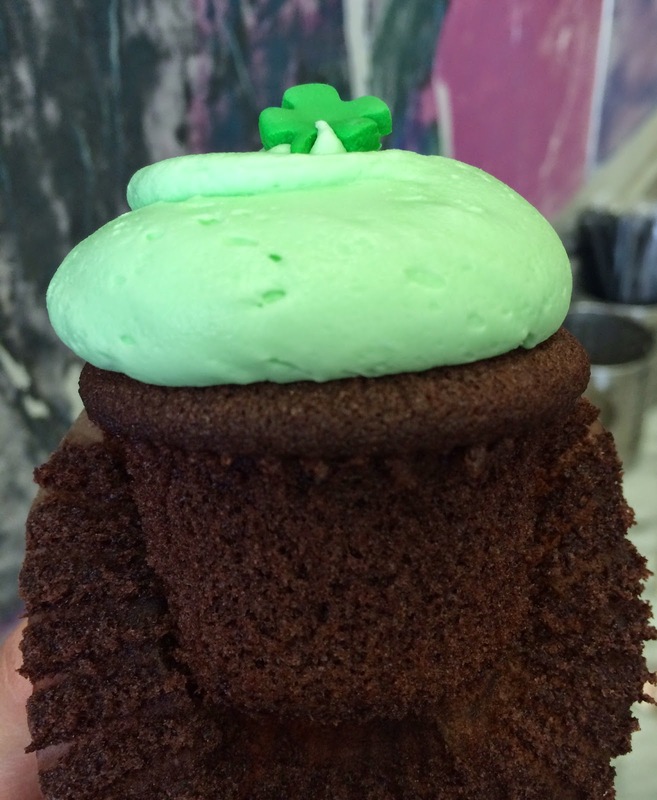 The frosting was buttercream but it's whipped till it's fluffy and soft, and it's much tastier than the ones from Whole Foods which are heavy. 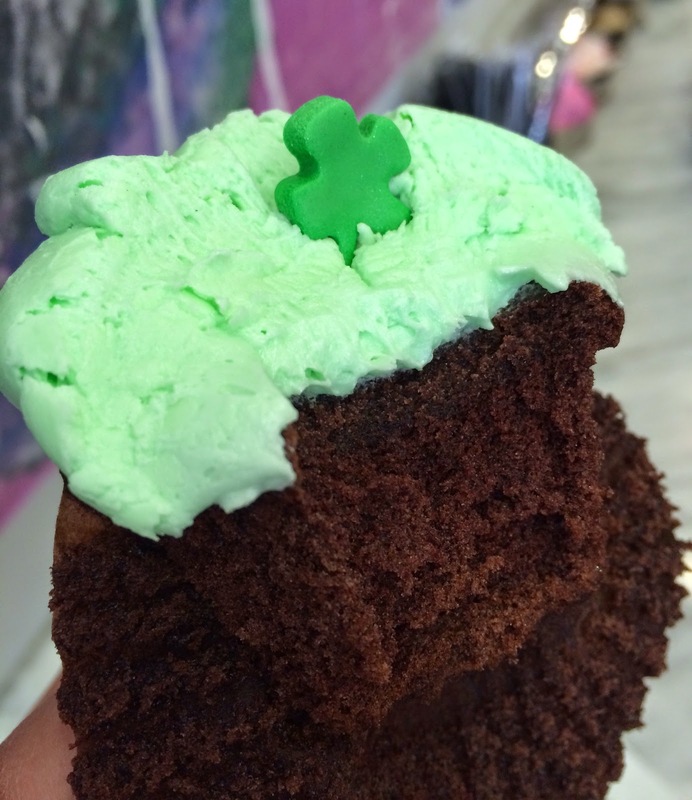 The chocolate cake was soft and moist, and like Red Velvet, it's not as bouncy as other cupcakes and it's close to bread as it's a bit dense. It's not too sweet and I think they might have used dark chocolate and milk chocolate.